The first plants to rise up in the spring, gracing the world with green, often include the very herbs we can most successfully use to be healthy and strong. It’s seasonal herbalism at its best with healthful weedy plants such as dandelions, violets, and chickweed expressing their vitality by simply growing all on their own in the first warm rays of the sun and passing that strength on to us. Stinging nettle is among these green friends. And indeed, stinging nettle leaf uses are many and plentiful, offering a wonderful herbal resource for families. This saying is popular among herbalists and attests to the power of nettles to impart vibrancy and as an herbal remedy. Nettle is a superb nourishing food and has beneficial actions on many parts of the body including the urinary tract, liver, digestive tract, reproductive system, and respiratory system. Known as an overall nourisher and strengthener, stinging nettle leaf (Urtica dioica) is chock full of vitamins and minerals most notably magnesium, calcium, iron, and protein that can be easily assimilated (Wood, 1997 & Weed, 1989). According to herbalist Rosemary Gladstar, nettle is also “one of the highest sources of digestible iron in plant form” (Gladstar, 1993, p. 29). Nettle is a deeply nourishing herb, helping to revitalize the entire body and increase overall health. This rich wealth of nutrients is helpful where there is muscle cramping from low vitamin and mineral intake, as well as assisting in nourishing the body after illness or prolonged stress (Tilgner, 1999; Weed, 1989). Nettles can help out as an herbal alternative supporting healthful function of the kidneys, liver, digestive tract, and overall metabolism while strengthening the constitution. As a tonic for the urinary tract and adrenals, nettle helps to soothe all sorts of woes such as chronic urinary tract infections, water retention, and stress (Weed, 1989). Herbalists use it to help flush acid wastes out of the body, easing “gout, eczema, skin rashes, and gravel in kidneys” (Wood, 1997, p. 483). Susun Weed also explains that regular use of nettle assists in “nourishing the mucus membranes of the digestive tract” easing constipation and diarrhea (Weed, 1989, p. 174). As an astringent, nettle is used to tighten lax mucous membranes and capillaries in the body. Herbalists call upon nettle to help in situations where there is profuse discharge such as with seasonal allergies, diarrhea, heavy menstrual bleeding, and recurrent nosebleeds. Nettle is a wonderful herbal ally for women during all phases of life from menarche to menopause. As a uterine tonic, diuretic, and nutritive it is often recommended for menstrual issues such as PMS, excessive bleeding, anemia, fatigue, night sweats, and edema (Gladstar, 1993; Weed, 1989). It is indicated for pale, anemic people, and women can use nettle to help get relief from fatigue caused by iron deficiency anemia (Wood, 1997; Gladstar, 1993). High amounts of iron in nettle can help to replenish iron stores and the astringent action assists in curbing excess menstrual bleeding. Enjoyed during pregnancy, nettle helps to provide nourishment to mother and child while also assisting in preventing fatigue (Gladstar, 1993). Containing high amounts of vitamin K, which is important for proper blood clotting, may help to prevent hemorrhage during childbirth (Weed, 1989). And drinking nettle helps to enrich breast milk! Delicious, rich green nettle leaves make a delightful addition to any recipe calling for greens! In fact, inviting this tasty herb into the kitchen is perhaps one of the easiest ways for families to take advantage of the benefits of nettle. Use it in place of spinach in spanakopita or along with basil for a nutrient-rich, delicious pesto! You can find 12 tasty recipes nettle recipes here including a recipe for nettle shortbread – yum! Another great way to harness the nutritional benefits of nettle is to make a nettle infused herbal vinegar. Vinegar is wonderful for extracting vitamins and minerals from plant material, making the nutrients from nettles available right in your vinegar bottle. Use nettle vinegar to make tasty salad dressings, add it to marinades, and use as an addition to other foods. Learn how to make your own nettle vinegar here! When adding nettle to food, bear in mind that the leaves need to be cooked or dried before consuming to eliminate the well-known sting from this plant. To take the sting out of fresh nettle before eating, simply place the nettle in boiling hot water for a couple of minutes before adding it to your recipe. Also, it is important to only consume nettle before flowering. Once it flowers nettle may cause irritation to the urinary tract. It may seem crazy to introduce children to nettle – after all, it stings! Yet, this plant is wonderful for teaching respect. When approached with attention and respect, nettle can often be touched and harvested without stinging. It is when carelessly brushed and bumped that nettle is known to impart its sting. For children who are brave and want to try working with fresh nettle, you can share this powerful little secret with them (though you still may want to give them a pair gardening gloves). One year, when assisting at an herb camp for kids, we taught the children about nettle. Invariably some kiddos were stung by this plant. They then went in search of other nearby plants to cure nettle’s formidable sting and took great joy in experimenting with different herbs (under our supervision) to try as spit poultices and compresses from around the garden. Effective favorites included dock leaves, violet, plantain, and much to the surprise of the children, lemon balm! Nettle has been a close companion to humans for a long time. And if we dig around a little we can find some fun little bits of nettle lore, myths, and legends to share with children. The following saying is just one of those little pieces of nettle lore. Try reciting it while applying your sting remedy. The helpful herb here is dock which is often found growing right alongside nettle! With a little sharing of this interesting plant whether growing out in the wild or in your very own yard, you may find that children are eager to help harvest nettle and enjoy it on their dinner plates. Keep nettle handy to help out when needed. Fresh plant tincture and freeze-dried capsules of nettle leaf can be wonderful when dealing with seasonal allergies. To be most effective, herbalists advise that nettles be taken for a month or two before allergy season begins and continued throughout the season. Also, the tincture can also be used to aid in soothing skin conditions such as psoriasis, to help nourish the adrenals, and for a vibrant energizing boost (Rose, 2007; Rose, n.d.). To make a nettle infusion, steep 1 to 3 tablespoons of dried nettle leaf in a cup of water for 4 to 8 hours. Keep your infusion covered while steeping. Strain out the herb and enjoy! You can add honey or juice to taste if you wish. You may want to brew up a larger quantity of infusion at a time. Using quart size canning jars is great for making larger batches of infusion to sip throughout the day or to have on hand. Keep leftovers in the fridge and consume within two days. Beyond being wary of nettle’s powerful sting, nettle is generally considered to be a safe, nourishing herb. It can, however, be overly drying for some folks. Adding a pinch of a demulcent herb such as marshmallow root, licorice, or violet leaf to your nettle infusion can help to alleviate some of the drying effect. Learn even more about stinging nettle and what it can do for you with our herbal monographs in The Herbarium. Gladstar, Rosemary. (1993). Herbal healing for women. New York, NY: Fireside. Grieve, Maude. (1996). A modern herbal. New York, NY: Barnes & Noble Books. Moore, Michael. (1979). Medicinal plants of the mountain west. Santa Fe, NM: Museum Of New Mexico Press. Tilgner, Sharol. (1999). 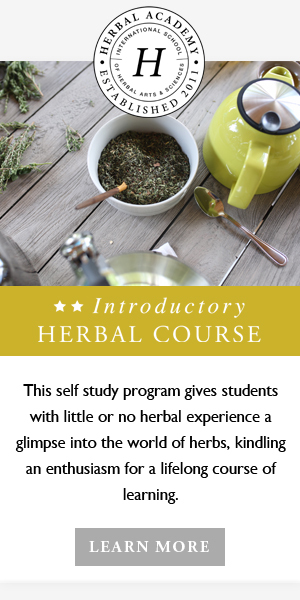 Herbal medicine from the heart of the earth. Creswell, OR: Wise Acres Press, Inc.
Weed, Susun. (1989). Healing wise. Woodstock, NY: Ash Tree Publishing. Wood, Matthew. (1997). The book of herbal wisdom. Berkeley, CA: North Atlantic Books.